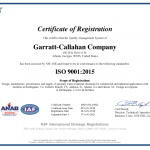 Garratt-Callahan Company is committed to providing our customers highest quality products. The success of products used to treat your facility is dependent upon the ingredients used. That’s why Garratt-Callahan works closely with our suppliers to ensure that the raw materials we use are tested for quality control and meet our high standards of quality. We take pride that our quality management system for manufacturing and supplying water treatment products is certified in compliance with the international standards of quality of ISO 9001:2015 by NSF-ISR. 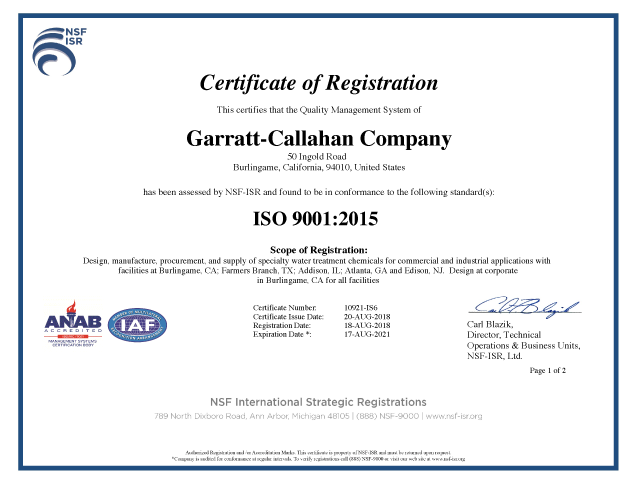 Garratt-Callahan’s ISO certification signifies our commitment to quality and ensures our customers’ peace of mind that they will consistently receive the highest quality products. Garratt-Callahan Company’s manufacturing facilities operate under a quality management system registered to ISO 9001:2015 certified in compliance by NSF. 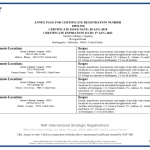 Manufacturing locations: Burlingame, CA., Dallas, TX., Addison, IL., Edison, NJ., Atlanta, GA.